The Multiblocker is a solid mechanical exit barrier consisting of a pedestal and a portable bollard which are connected to each other by a bayonet lock. The pedestal is anchored in the ground and permanently remains in this position, without retracting. 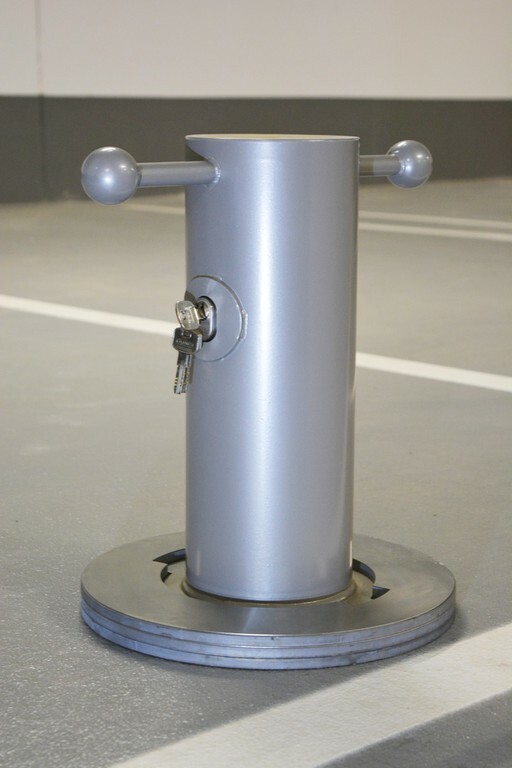 Once the bollard is placed on the pedestal and then twisted in it, the Multiblocker is locked using a key. The key triggers a self-developed rod locking mechanism which blocks the bollard. This prevents third parties from driving or rolling away the protected object. The Multiblocker has been thoroughly designed right down to the last detail and as such does not give vehicle thieves or burglars any chance of stealing the vehicle. 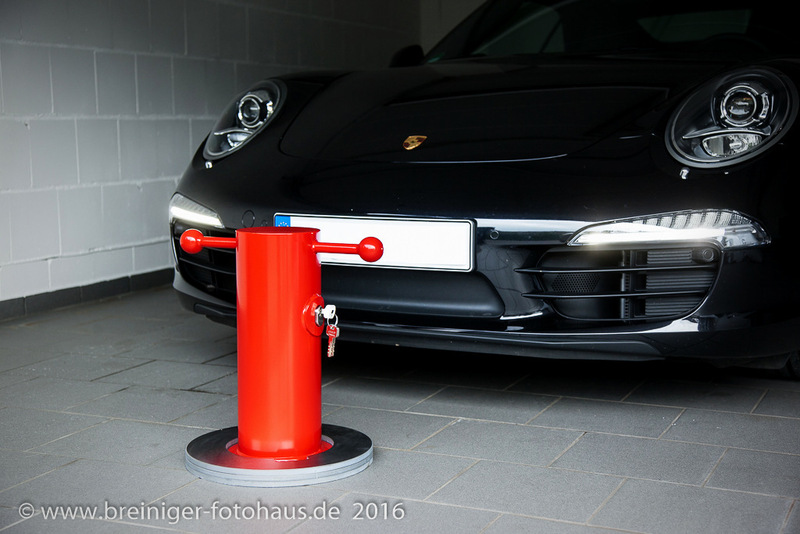 By unlocking the Multiblocker and rotating the bollard, the owner, however, can remove the bollard from the pedestal and allow the vehicle to be pulled out of the driveway in the twinkling of an eye. The Multiblocker was developed as an anti-theft device to secure cars against unauthorized removal. 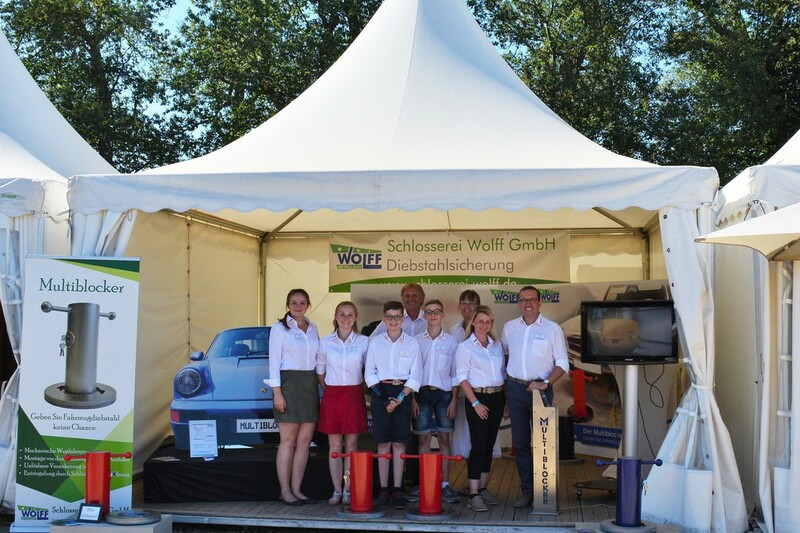 The broad range of possible applications extends from the protection of vintage cars and classic cars to the protection of sports cars and caravans. The Multiblocker can be installed in garages, underground garages, halls or car dealerships where it is fastened right in front of the vehicle or the exit. The Multiblocker is installed specific to the floor conditions in order to guarantee the necessary stability in each and every case. The pedestal is anchored in the ground while the bollard remains portable to block or clear the exit. For reasons of safety (see below) and also for the application in various locations, where excavation is not possible, the Multiblocker is not retractable. In the case of concrete floors, the pedestal is non-detachably anchored in the floor with dowels. For other ground conditions, such as paving stones, the pedestal should be fixed to a previously embedded support bracket. Load tests have shown that the Multiblocker can easily withstand a tensile force of several tons when properly installed*. Thus, it can easily resist the pulling force of a passenger car for example. The installation of the Multiblocker can be done easily and quickly and due to the fact that usually no additional foundation is needed, the Multiblocker can also be used in underground garages. In this video we show you how the Multiblocker works, how to install it on concrete floor and how resilient it proved to be in our load tests. The Multiblocker cannot be removed while it is locked and hence, protects cars reliably against theft. The Multiblocker is the only sustainable solution on the market that does not only discourage casual thieves, but also does not give professional burglars a chance. As the Multiblocker works purely mechanically and is permanently fixed to the ground, it is neither manipulable nor susceptible to interference. Consequently, it is superior to electrical and retractable systems in terms of safety. 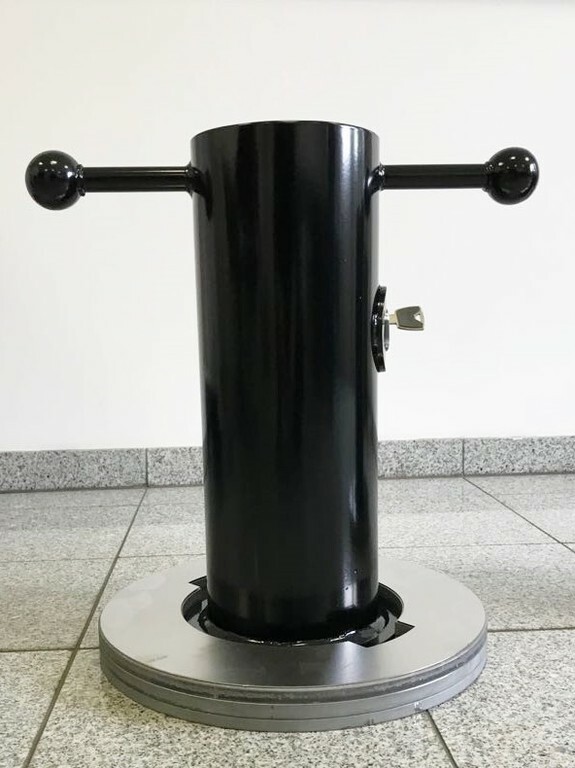 The Standard Multiblocker includes the bollard, the pedestal, the lock as well as the fastening material necessary for the installation on concrete floor. The price for the Standard Multiblocker and supplemental services can be found in the following price list**. *Our load tests are subject to the conditions shown in the product video on this page.